The NewsLine: Woman selling husband on craigslist. 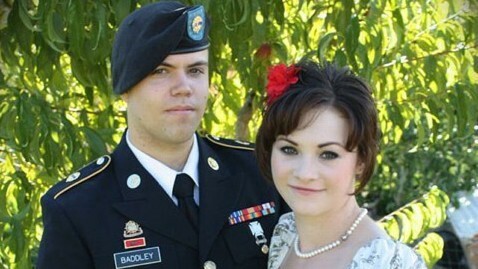 Alyse Baddley, 21, hadn’t spent quality time with her husband, Kyle, in quite a while. Kyle was too engrossed in his game of “Modern Warfare” to notice. So Alyse cooked up a scheme to put the 22-year-old in his place: by selling him on Craigslist. ‘”She said, ‘Oh do it!” Alyse recalled in an interview with ABCNews.com. According to the advertisement, Kyle “enjoys eating and playing video games all day.” And he’s “easy to maintain, just feed and water every 3-5 hours,” the ad advised. The bidder “must have Internet and space for gaming.” However, the Craigslist post noted, if “an acceptable replacement” was offered, Alyse would be willing to trade husbands with someone. Alyse was surprised to receive a number for responses, mainly humorous messages from amused readers. One woman offered to train Kyle and give him back. Another respondent, a man, wrote that he was already house-trained and would love to trade himself for Kyle, adding that he preferred reading books to playing video games. But a few readers evidently took the ad more seriously, writing to Alyse that they were concerned about her relationship with Kyle. Kyle’s father, Scott Baddley, said he sees no cause for concern. Kyle is not devoting as much time to “Modern Warfare” now, he said. In fact, the couple is on the way to Florida to spend Thanksgiving with Kyle’s sister. Alyse and Kyle married in 2010, right before Kyle headed for Afghanistan to complete his military service.